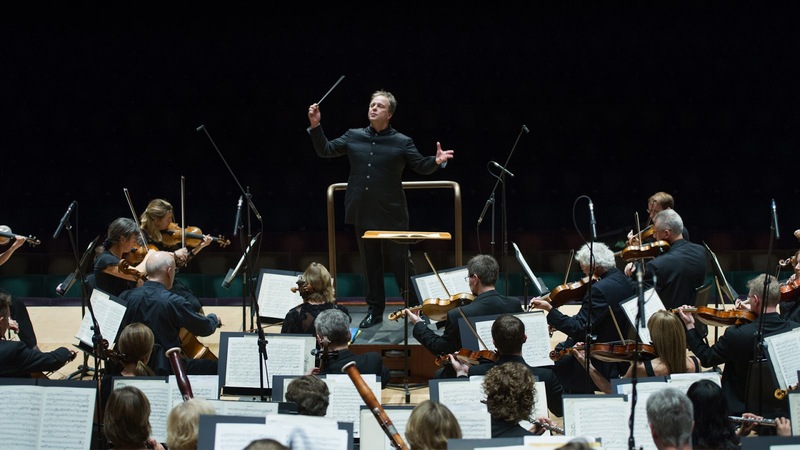 The 2017-18 season is Sakari Oramo's fifth season as chief conductor of the BBC Symphony Orchestra and they will be celebrating with a complete series of Sibelius symphonies performed at the orchestra's Barbican concert series. Another highlight will be Oramo conducting Elgar's The Dream of Gerontius with Alice Coote, Stuart Skelton and Alan Ewing. Operatic outings for the orchestra include a double bill, conducted by Josep Pons, of Falla's El amor brujo and Granados' Goyescas. And Jake Heggie's Dead Man Walking finally gets its UK premiere when Mark Wigglesworth conducts the opera in a semi-staged performance with Joyce DiDonato and Michael Mayes. In addition to Elgar's oratorio, British music in the season smaller includes scale Elgar choral works, RVW's Sea Symphony, and Finzi's Cello Concerto. Other lesser-known Romantic repertoire will include Bruch's Concerto for Two Pianos, Florent Schmitt's Symphony No. 2 and Barber's Symphony No. 1. Sir Andrew Davis will be conducting Raymond Yiu's The World Was Once All Miracle, and Gergely Madars makes his Barbican debut with the UK premiere of Ross Harris's Face. The season includes 11 UK premieres all told including Thomas Larcher's Red and Green, Betsy Jolas's Histoires Braies (conducted by Jon Storgards) and Aare Merikanto's Ekho as well as performances of recent works by Harrison Birtwistle, Alasdair Nicolson and Poul Ruders. Total Immersion days continue with days devoted to Esa-Pekka Salonen, Leonard Bernstein and Julian Anderson. The Julian Anderson day will include his Bell Mass and orchestral works, conducted by Edward Gardner including Im Liebliche Blaue with Carolin Widmann. Esa-Pekka Salonen's works to be performed include the UK remire of Karawane, plus pieces such as Gambit and Wing on Wing. Full details from the BBC Symphony Orchestra website.